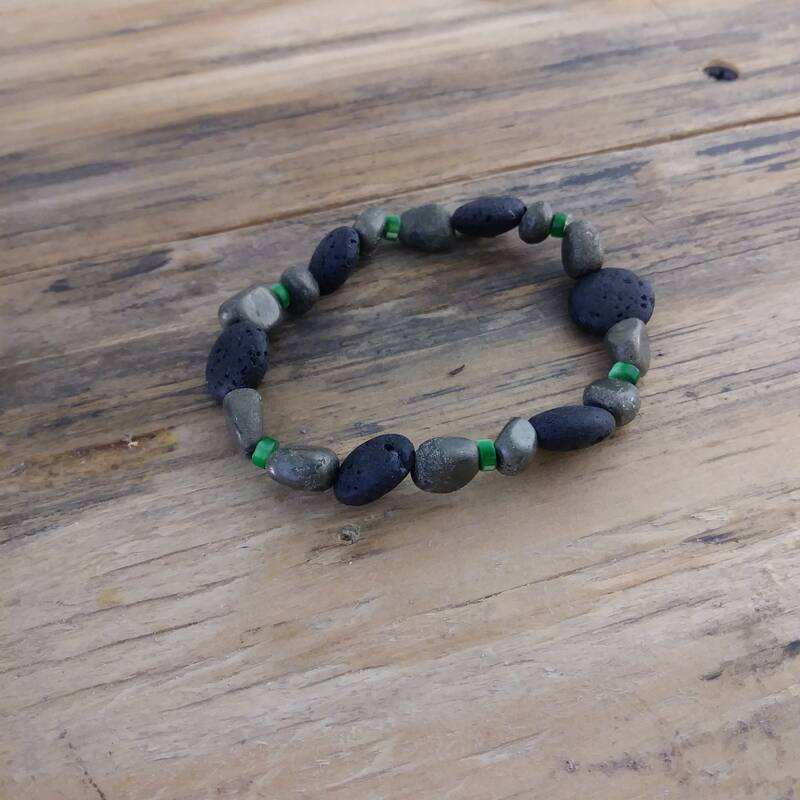 Custom 7 inch essential oil diffuser bracelet. 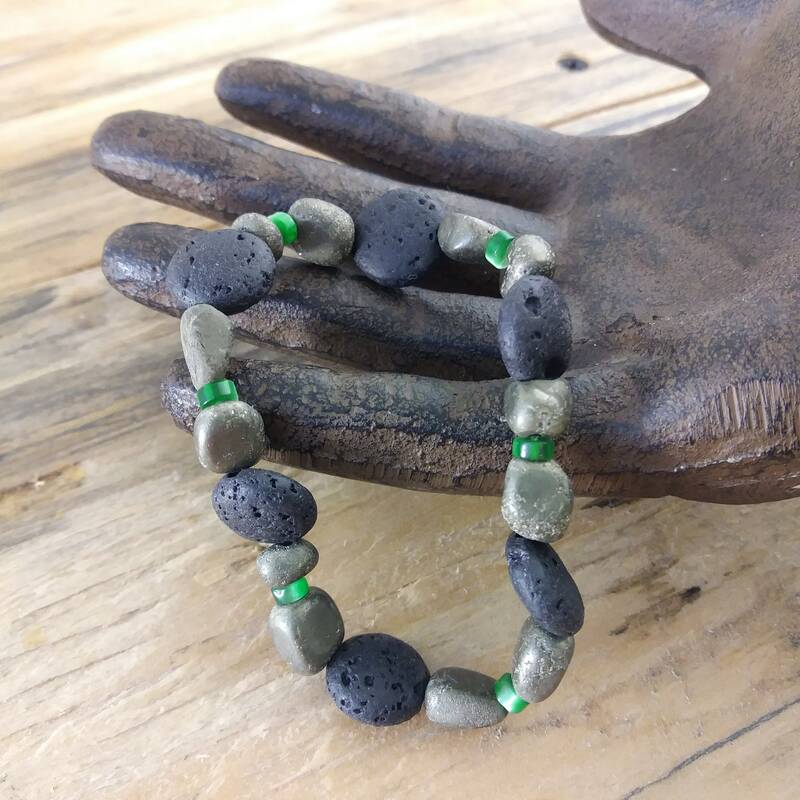 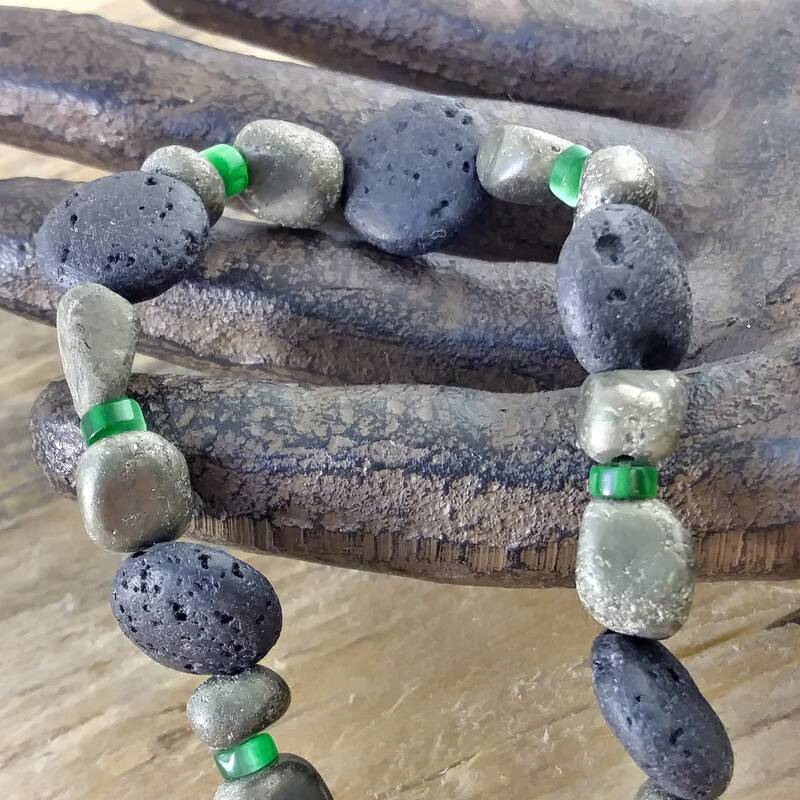 Black lava, green glass and semi precious raw stones make fo a masculine look for the young gentleman who will be sporting this handmade piece. 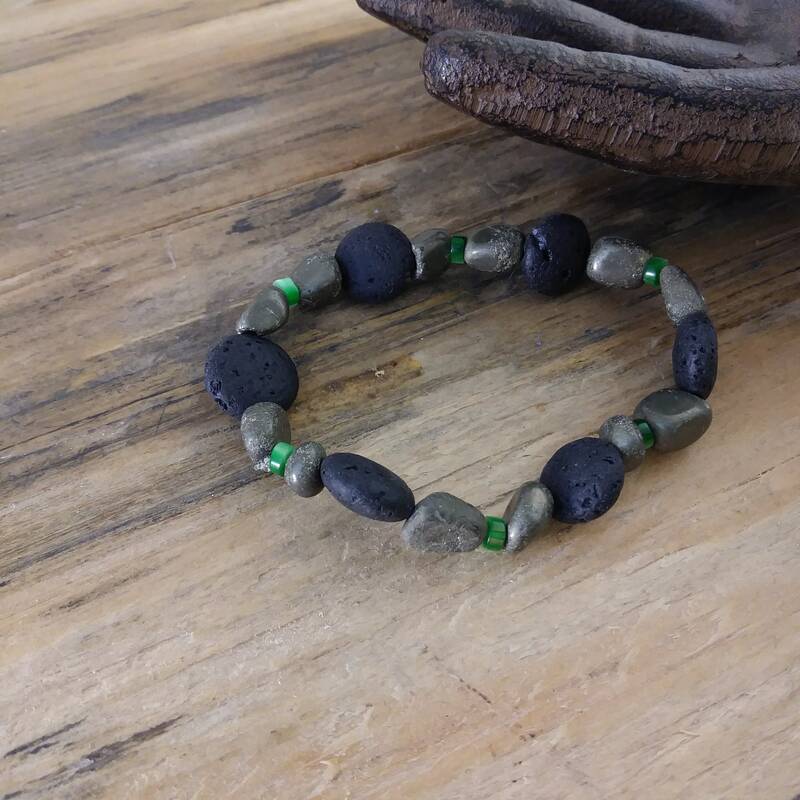 Oils can be dripped on lava stones for lasting scent.